Eight football players vector silhouettes come in this graphic pack. Each features a soccer player in action. 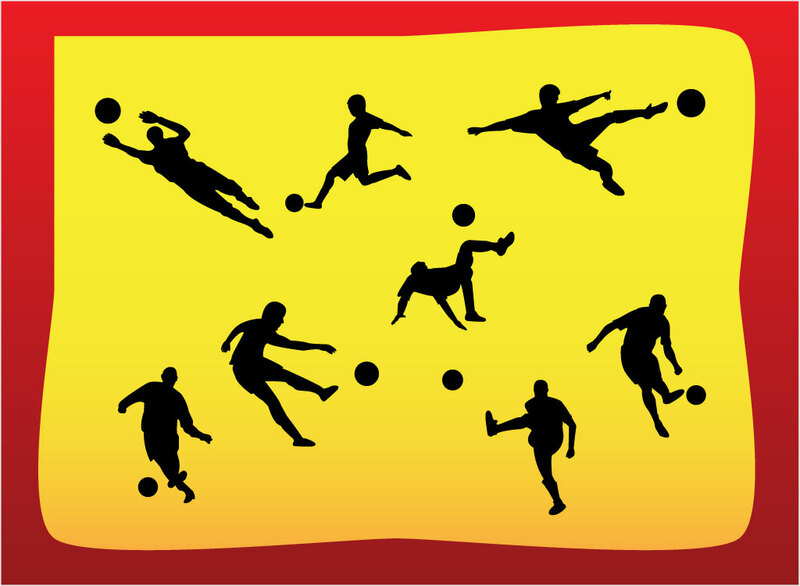 Exciting poses to use in your team sports designs and fantasy league website banners. This free download is a perfect addition to your soccer, sports, UEFA and FIFA football stock art collection. Silhouettes and people graphics are always handy to start a design project, so make sure to download this amazing vector stock pack by our friends at VectorVaco. Tags: Action, Active, Ball, Football Players, Forward, Goal, Keeper, Scoring, Sports.